The authors provide an approach for simultaneously gathering and identifying habitat information that influences burrow density. This habitat information can in turn be used to inform restoration activities or it can be used to provide insights into observed colony trends. 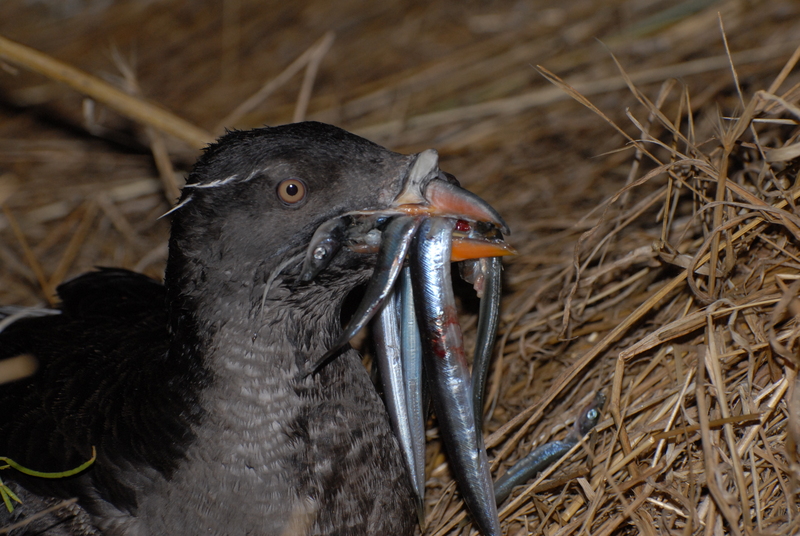 Specifically, this paper compares "the density and occupancy of burrows of the Rhinoceros Auklet (Cerorhinca monocerata) at nesting colonies in the California Current and the Salish Sea and in the 1970s, 1980s, and today." Data suggests that Salish Sea populations have increased by 52% since that time, but the authors write that "some of the estimated changes between the periods could be the result of methodological and analytical differences." Dr. Joe Gaydos is the Chief Scientist for the SeaDoc society, a marine ecosystem health program of the UC Davis Wildlife Health Center. He serves as a member of the Encyclopedia of Puget Sound editorial board.